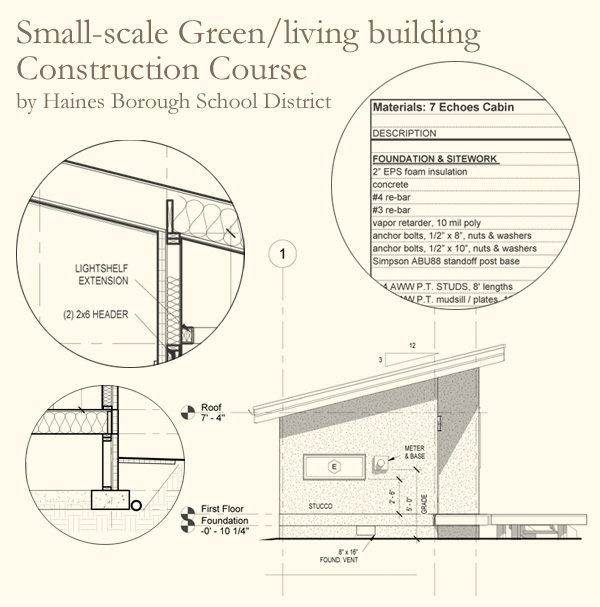 A Haines Borough School District small-scale green or living building construction course to provide basic vocational training in the building trades that can lead to green collar careers. Proposed by 7 Echoes Homestead, the course is the first step in exploring ways to develop a 2+2+2+2 plan where Haines Borough 1st year high school students work on a start-to-finish green or living building project in two semesters and have additional options to pursue post-secondary education and green collar careers. Designed to involve high school students and adults as citizen scientists in developing model permaculture sites at 7 Echoes Homestead on Mud Bay, Haines Alaska. A sequential, integrated curriculum will give participants an understanding and appreciation of local ecology and the role we play in our environment. Cleanup and restoration will take place along portions of a stream, the intertidal zone and tidal flats over the next three years.